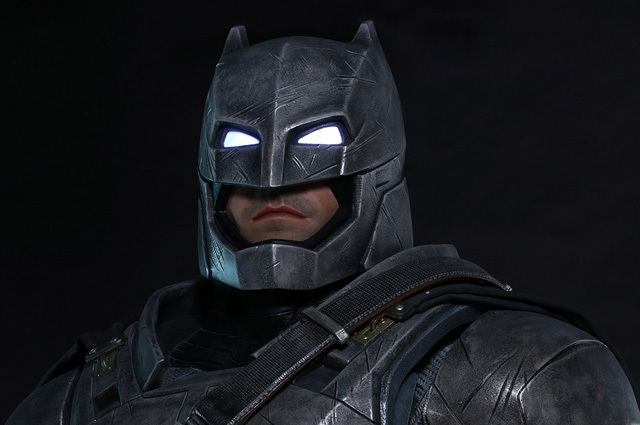 Life-Size Armored Batman Collectible from Batman v Superman! The movie-accurate and realistic Life-Size Armored Batman Collectible will be available in selected markets and stands approximately 1.95m/6.4ft tall (2.2m/7.2ft tall with base). 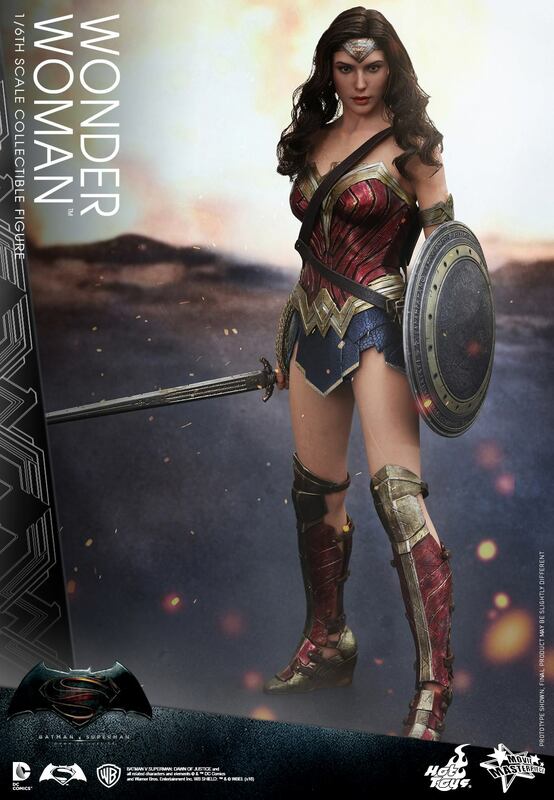 It features an armored head with light-up eyes, authentic and detailed likeness of Batman’s lower face, meticulously sculpted replica of the Batsuit and armor, a fabric cape, and a circular base with light-up function and Batman v Superman: Dawn of Justice logo.